Today, I did not go on my usual jaunt. 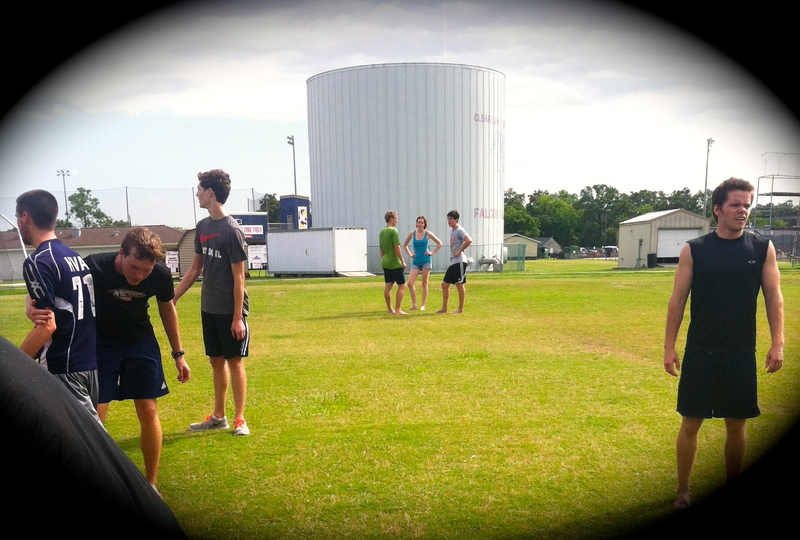 I went down to my old high school’s sports fields to play a couple hours of Ultimate Frisbee. Man, do I love Ultimate. I don’t considerate myself good by any means, I just love endurance sports. I am that girl who consistently jogs back and forth following the disc with the occasional sprint burst here and there when needed. Three hours later, I was back home and bushed. The heat and sun really takes it out of me. I kept hydrated while playing, but I needed sustenance. I went to my go to–smoothies. 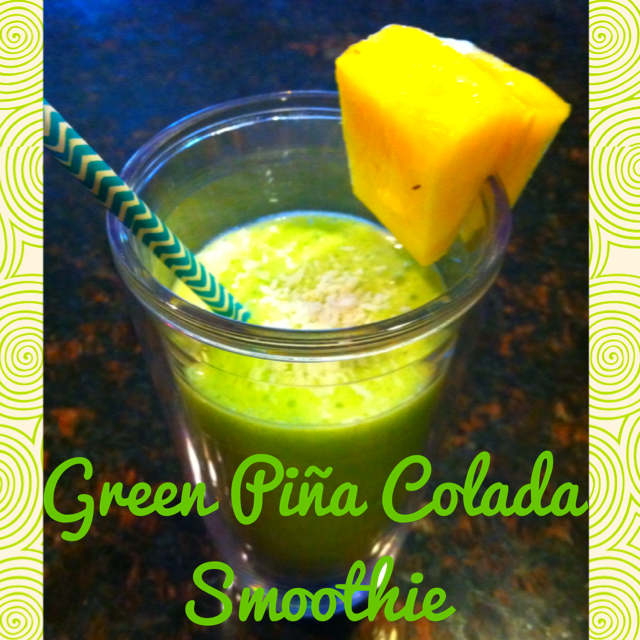 Say “Hello” to the Green Piña Colada Smoothie!